When I joined APO, I had no idea that I was about to find my home away from home. Spring 2017, I was a person that was in a sorority that didn't feel like I belonged in anymore. I won't bash them, because they gave me three amazing years filled with community service, friendship and memories that I will carry with me for the rest of my life. However, after some drama, I felt like I was just pushing to get to graduation so that I could just say I was done. Then, a coworker took me to a recruitment event for Alpha Phi Omega. We made Valentine's Day cards for a local nursing home. I sat down feeling all kinds of awkward, but as the night went on I felt like I could connect in some way with just about everyone that was there. I had a gut feeling about them that I was going to be friends with these people from here on out. I just clicked. After that night, I became a pledge and went through the process. I went on to hold many positions in APO such as the pledge class president, pledge educator, 1st Vice President of service, and my current leadership role. Alpha Phi Omega is more than just another student organization, it truly is something that I have come to rely on as much as it relies on me. I take my leadership roles along with the skills I have learned and use them in my daily life and working career. Learning communication, time-management, active listening, problem-solving and team building skills will benefit me in any position that I am in; whether it be professional or just within a group. I consider my brothers some of the best friends I have ever had. They are genuine weirdos just like me. Through APO, I feel that I have been able to give directly back to my communities in which I live. I have volunteered at local homeless shelters, elementary schools, and even helped plan a relay style run for autism awareness that stretches almost 80 miles long. I have learned how to work within a group of diverse people towards one common goal–– doing the best that we can to give back to others. 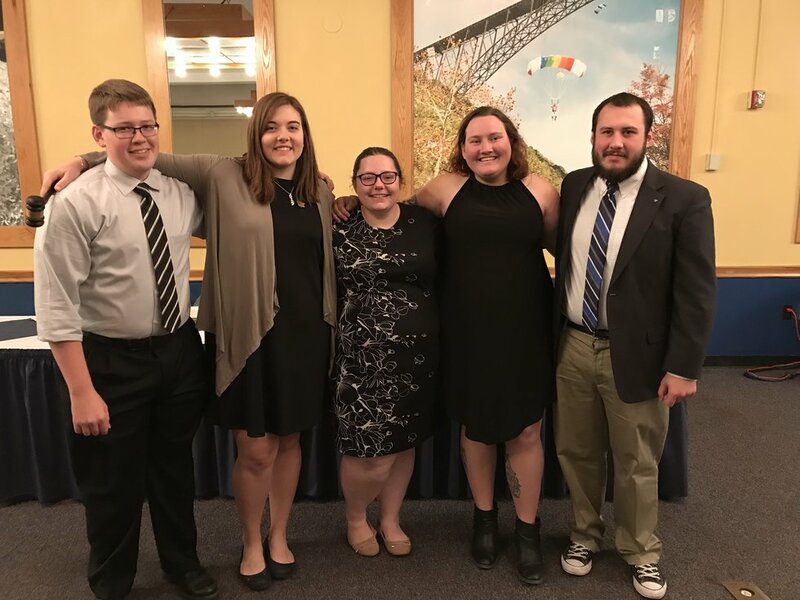 APO has taught me how to become an understanding and caring person for the community, someone that can take on any task thrown at her and lead with confidence, and also how to be a good friend to those in need. If there is a chapter on your campus, please give them a shot. You could possibly find your home, just like I did. Here's to Alpha Phi Omega, may we always be.